The celebration is quickly approaching. 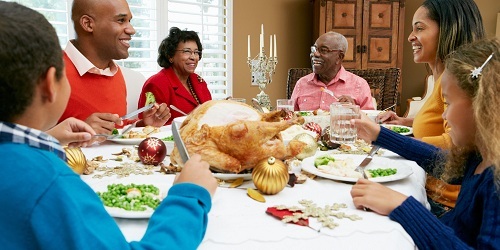 There is much to do to prepare for a Thanksgiving Day celebration. Are you ready for it? There are relatives coming to visit and a house to get ready. Most importantly, there is a lot of food to get ready. Anything could happen during this crazy and hectic holiday. You never know what could come up, but you want to be ready for anything unexpected. How do you get ready for such a big holiday? It seems as if there is a never ending list of things to get done. It is easy to get overwhelmed and stressed out with everything that needs to be done. Here are a few things you can do to make an unusually hectic time of year a little bit more relaxing. Sit back, enjoy the company of friends and family, and make memories to last a lifetime. Before you even get started on the food, there are things that need to be done. Do you have family coming in from out of town? If you do, you need to be ready for them. This means getting the spare bedroom setup or the living room couch prepared. You will also need to make sure they have what they need throughout their stay. Buy groceries for easy breakfasts, lunches, and dinners before Thanksgiving. Consider some fun games to play to keep your guests entertained throughout their stay. You might also feel compelled to clean your entire house when people are coming over. Guests don’t usually care how clean your house is. They don’t care nearly as much as you think they do. Don’t go overboard with the cleaning. Run a vacuum and wipe down the counters. You don’t need to go crazy. Just make it somewhat presentable. 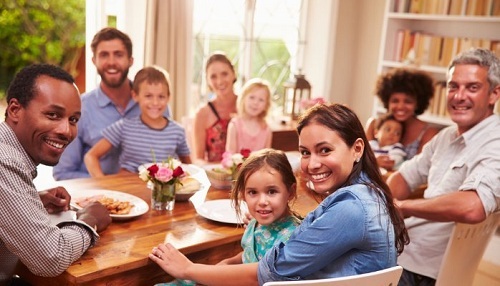 Having family over can be very stressful, but it doesn’t have to be. Relax and have fun. Don’t plan too many activities as this can be even more overwhelming. Plan simple games and maybe even just watch a movie or two. If possible, enlist them to help with the following preparations for the Thanksgiving Day meal! Everyone seems to wait until the last minute to go shopping for Thanksgiving. The crowds will get more intense the closer you get to Thanksgiving. Get your groceries as soon as possible in order to avoid the panic and rush at the grocery stores. 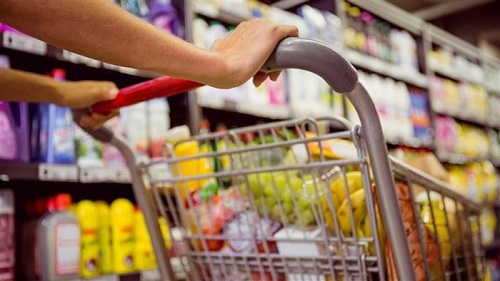 From the beginning of November, you will want to keep an eye out for the latest grocery shopping deals. Start clipping coupons you find and watch out for sales. For example, some stores have a deal of buying a turkey and getting a ham for free. This is a great deal, but there won’t be enough for everybody. The earlier you get your items, the wider variety of choice you have and the better chance you have at getting everything you need. Buy as many items ahead of time that you can. If there is anything you are buying that is frozen, this can easily be purchased a few weeks ahead of time and stored in your freezer. For most items, try to get them the week before. This will help you avoid the rush of people who wait until the week of Thanksgiving to go shopping. This will also avoid a shortage of items in your store. You don’t want to go looking for an item in the store and have it be gone. This could cause significant delays in the rest of your Thanksgiving preparations. Make sure to keep a list of everything you need to get done. This will ensure you don’t forget any important step in your Thanksgiving Day preparations. Make sure to make note of every little thing you need to go so you don’t forget anything. Making a list and marking off each item as it gets done is not only effective, but also satisfying. Marking things off of your list as you go will make you feel accomplished and less stressed. It also keeps you on track and saves time in the long run. You won’t have to think hard about what to do next. You will just have to consult the list you have made and keep moving. You won’t lose any much needed time. As soon as the above items are done, you can get started on the food preparation. This is the most important part. If anything else, getting the food ready should be your top priority. If you are crunched for time, forget everything else and focus on the food. You don’t want to get overwhelmed by the amount you need to get done in a matter of a few hours when it comes to food. This is a quick way to get stressed out and can cause many more problems in itself. Take it one step at a time. Try your best not to rush through it. Get any food items prepared ahead of time that you can. The days leading up to Thanksgiving can be very useful in getting ready for the big day. This is known to be the most important part of the Thanksgiving meal. You want to make sure to thaw it out ahead of time. Having a frozen turkey is a quick way to ruin your main course. You don’t want to put a frozen turkey into the oven or roaster. For every 4 pounds, the turkey will need a day to thaw. For example, if you have a 6 pound turkey, you will need about a day and a half to thaw out. Make sure you know how much your turkey weighs before you set it out to thaw. In addition, you will need to know how to prepare the turkey. Make sure you know how you are cooking it and what you are cooking with. This will save you a lot of time. 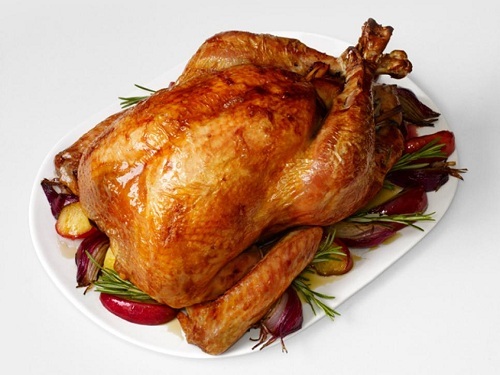 You will know exactly what you are going to do so you can get the turkey cooking right away. What most people don’t know is you can get gravy ready ahead of time and freeze it. If you use the drippings from the turkey, don’t worry. You can still get it ready ahead of time. Get everything ready that you can. 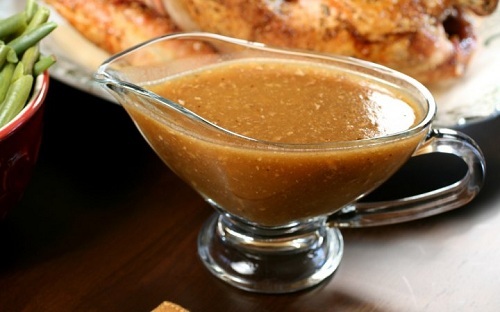 When the time comes to heat up the gravy, pour in the turkey drippings and mix it in. Because of how much sugar it is made with, cranberry sauce can be prepared well ahead of time. It doesn’t go bad easily. People tend to forget about the cranberry sauce or feel as if it isn’t at the top of the list. 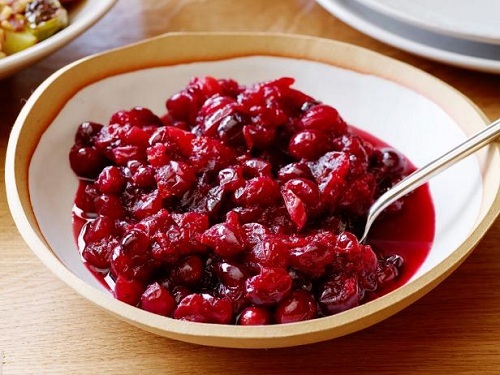 However, the cranberry sauce is something many people enjoy and would greatly miss at your Thanksgiving Day meal. 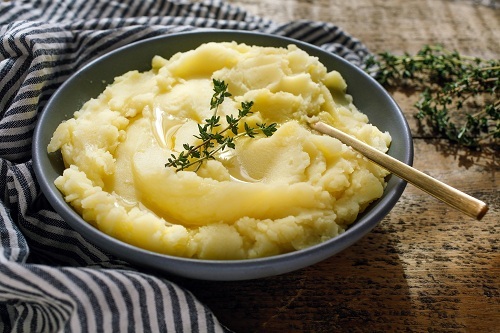 Mashed potatoes can easily be cooked and mashed ahead of time. These can be kept refrigerated or even frozen. You can make these a day or two ahead of time and save you a lot of time on the morning of Thanksgiving. Cooking and mashing potatoes can be very time consuming. You won’t want to rush the process. The worst thing that can happen by freezing them is running the risk of them being dry. However, if this happens, there is a simple fix. When you heat up the mashed potatoes, add butter to them until they are as moist as you want them. It even adds a buttery flavor to them that many find very delicious! 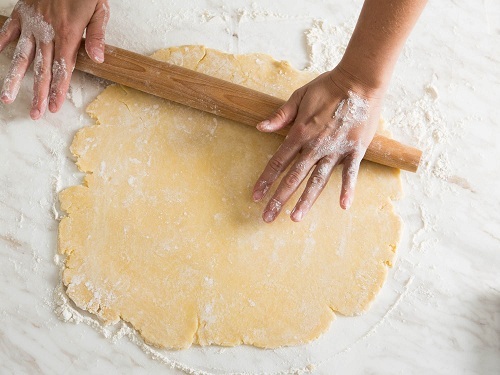 Pie crust can easily be made ahead of time. It is easily made and kept refrigerated or frozen. On the day of Thanksgiving, simply take it out and thaw it. Then you can make your pie as you normally would. To make the pie baking process even easier, there are many pies you can make ahead of time. Fruit pies are especially easy to make ahead of time. Like cranberry sauce, the sugar in them helps preserve the fruits. Simple freeze the whole pie and bake it on the day of Thanksgiving. However, when it comes to pies not fruit based, these are best made the day of Thanksgiving. They could potentially make the crust soggy if refrigerated or frozen ahead of time. Thanksgiving Day is sometimes thought of as a stressful holiday. There is so much to do and it feels like there is never enough time to do it. However, it doesn’t have to be this way. 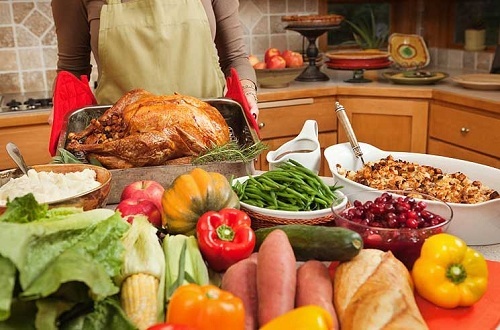 Thanksgiving can be made much easier by following some of the simple suggestions listed above. You can make sure you are ready to tackle the big day. If you do much of the work ahead of time, there won’t be nearly as much leftover for the morning of your big dinner. 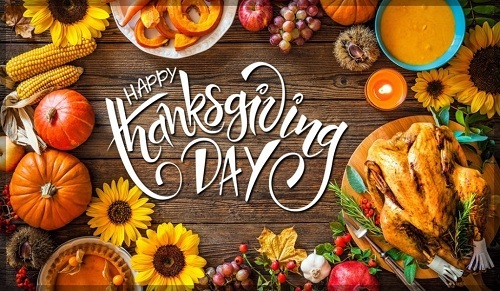 Make this Thanksgiving one to remember by making time to relax and enjoy it. What you remember should be the amazing food and amazing company of friends and family, not the stress of making a big meal.